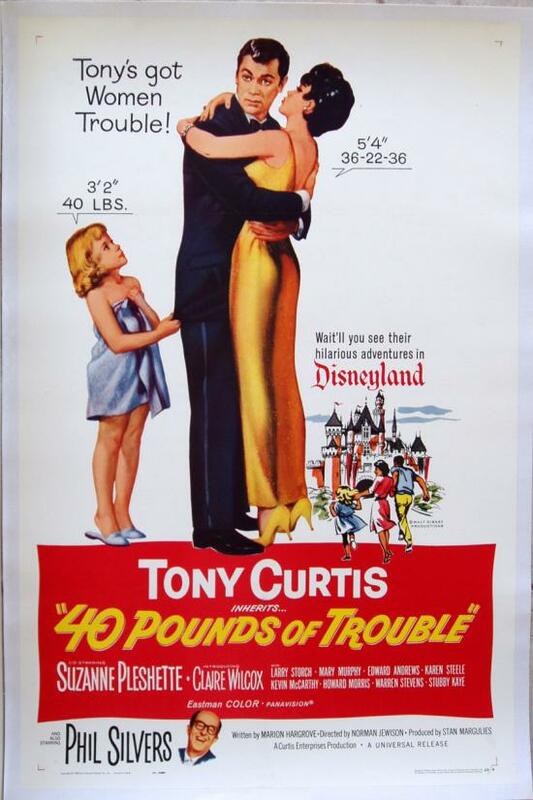 Starring Tony Curtis, Phil Silvers, Suzanne Pleshette, Claire Wilcox, Larry Storch, Howard Morris and Stubby Kaye. Directed by Norman Jewison. Fun shots of Curtis, Pleshette, Silvers and Wilcox. Poster also has a vintage shot of Disneyland in the background art. Near Mint on linen.